Neil Hall & Sons is a family-run business based in the heart of North Yorkshire, serving the Harrogate & District surrounding areas. With over 30 years of experience in the paving industry, Neil Hall has set the standard for quality and professionalism throughout the 5,000+ projects completed in the region. Since 2010, the business has developed further with the addition of Neil’s sons; Joshua & Louis joining the company. We are a well established family run business based in North Yorkshire specialising in the repair, cleaning and restoration of driveways, patios and all hard surfaces such as block paving, tarmac, pattern imprinted concrete, stone and slate . We have specialist machines for cleaning and sealing both internal and external surfaces . We offer a complete patio re-pointing service. Driving Lessons in Leeds. Making it easy to try new driving instructors in Leeds: Lessonsperhour.com makes learning to drive affordable - especially when starting out and you need to try a few different driving instructors. So, we allow you to make your own introductory offer based on your budget. You can make an offer such as 5 Driving Lessons for £55 or 3 Driving Lessons for £45! At Yorkshire Road Surfacing we pride ourselves on providing only the best quality surfacing services at the most competitive prices. We undertake work for both domestic and commercial customers and aim to provide high quality workmanship with reliable turnaround times. We do not sub-contract our work to outside sources at any times and we own and operate all our own equipment. 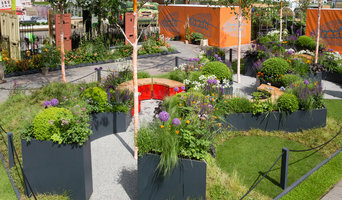 Our fully qualified, highly trained paving team work closely with local authorities and key contractors, so you can be sure that you will get the most superior result at an affordable price. From decorative driveways in Doncaster to commercial car parks and industrial flooring, our 30 years in the trade mean we truly are the premier surfacing choice, so whatever the needs you have, contact us today! Bassetlaw Construction Services provide Paving and Turfing in Yorkshire and the East Midlands. We install surface and repair driveways we are resin driveway specialists. 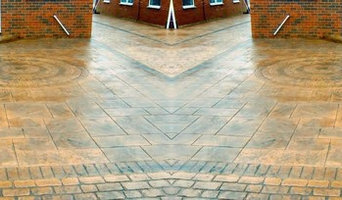 Why should I hire Leeds, West Yorkshire driveway pavers? For those building a new home from scratch or completely renovating a house, sorting out the driveway and paving around the exterior of the house is usually something that comes as an afterthought, or at least left until the main living areas areas of your home are sorted. However, it’s always a good idea to talk to professional Leeds, West Yorkshire driveway pavers at an earlier stage because they can work in tandem with any other exterior contractors working on the job to create driveway solutions that work with the rest of your house. The driveway construction may not be able to happen until after other contractors have finished, but the space will be ready for the paving or laying of the driveway. Here are some related professionals and vendors to complement the work of driveways: Stone, Paving & Concrete, Main Contractors, Landscape Contractors, Cladding & Exterior Contractors. Find a driveway pavers on Houzz. 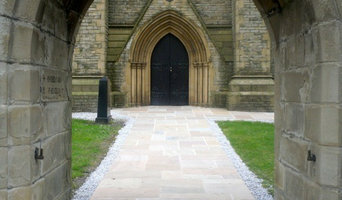 Narrow your search in the Professionals section of the website to Leeds, West Yorkshire driveways and paving. 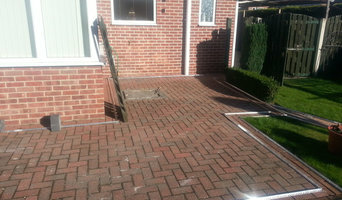 You may also look through Leeds, West Yorkshire photos to find examples of driveway solutions and paving that you like, then contact the driveway pavers or contractors who worked on them.